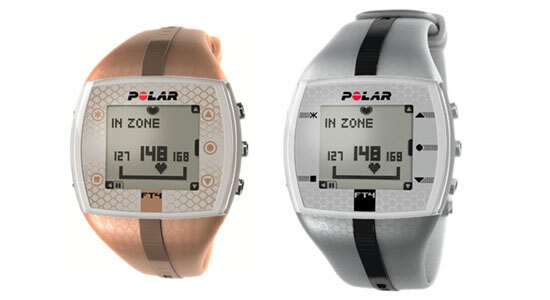 Polar Heart Rate monitor watches come standard with watch face and listed features, heart rate monitor transmitter, and manual. 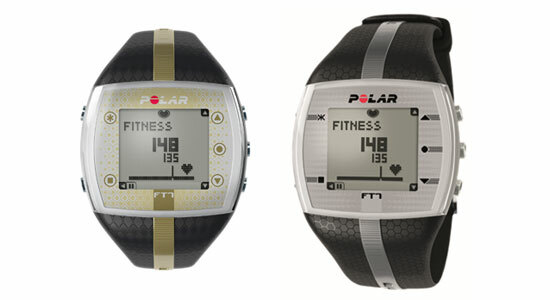 The FT1 is used in heart rate-based training. Shows heart rate on large and easy-to-read display. Helps improve your fitness with manual heart rate target zone. Displays a summary of your latest workout. Simple one-button start and coded heart rate transmission to avoid cross-talk. Safely exercise within your target zone. Records average and maximum heart rate. The FT4 is for those who want basic heart rate-based features to keep their fitness training simple. Shows when you're improving fitness based on your heart rate. Displays calories burned. Comes with comfortable fabric transmitter and coded heart rate transmission to avoid cross-talk. The FT7 is for those who want to know if they're improving their fitness or burning fat. The Energy Pointer tells you if the main effect of your training is fitness improvement or fat burning. Displays calories burned. Comes with comfortable fabric transmitter and coded heart rate. The FT60 is for committed exercisers – the STAR Training Program tells you how much and how intensively to train. Creates a training program based on your personal goals and sets new weekly training targets. The FT60 gives feedback on the effect of your training. 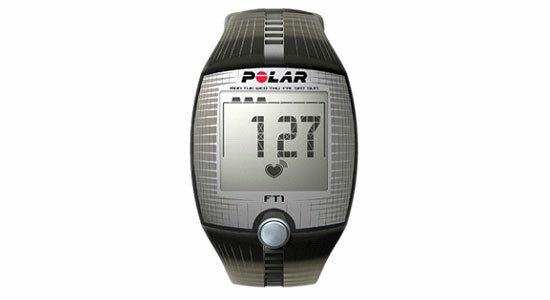 The Polar Fitness test measures your aerobic fitness at rest and tells you your progress. 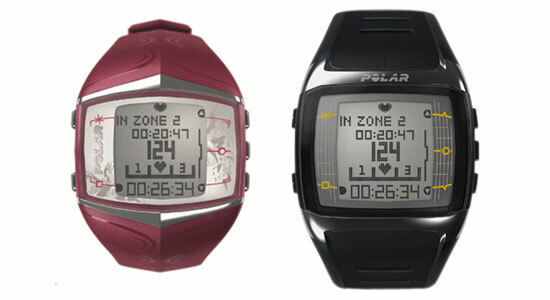 Polar Heart Rate monitor watches come standard with watch face and features, heart rate monitor transmitter, and manual. The RS300x is for recreational athletes who require all essential heart rate and timing features. Helps you train at the right intensity with personal sport zones. 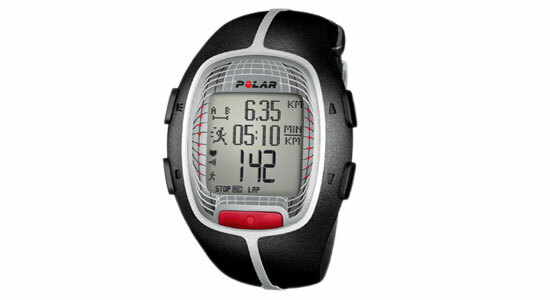 The Polar Fitness test measures your aerobic fitness at rest and tells you your progress. Displays calories burned. 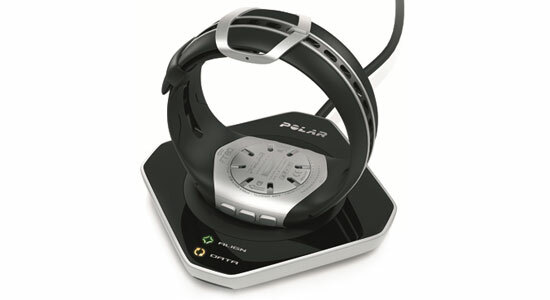 Once you've completed your training, you're ready to view the results using the Polar ProTrainer 5 software. 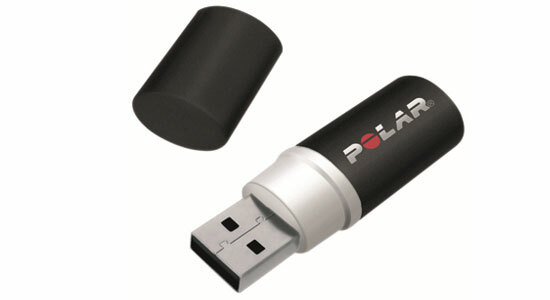 The IrDA USB Adapter provides that link by enabling a two-way infrared data communication between your Polar product and PC. Set contains the adapter, installation CD and a cable. It's easy to transfer data between the training computer and polarpersonaltrainer.com. Simply connect it to a Mac or PC with the FlowLink USB connection.